Click HERE to see the complete truth about pistonic driver cones! Model Seven Mk II & M7-HPA Stereophile Class A Recommended Components, Editor's Choice Award Winners! *We do not yet have a complete gallery of photos for the Model Seven Mk II, so please click HERE see the original Model Seven page for a more complete visual product tour. Meet the Model Seven Mk II, the newest Vandersteen Audio flagship! The original Model Seven was introduced in 2009 and remained in constant production for over five years, an unprece- dented run during which it was firmly ensconced as a Stereophile Class A Recommendation, a perennial TAS Editor’s Choice winner and a winner of universal praise from reviewers and consumers around the world. All of which is testament to the fact that the Seven was a tough speaker to improve upon! However, Richard and Nathan Vandersteen, the architects of this ambitious project found that mechanically altering the “acoustic lens” that surrounds midrange and tweeter aligned the acoustic centers of those drivers just enough to substantially decrease the amount of hand tuning required for the compensation network. The result is even more natural, open sound for a soundstage that is palpably taller, wider and more “3D” in its image focus and specificity. Although the crucial aspects of the Model Seven’s ultra-rigid carbon-fiber “cabinet within a cabinet” construction remain familiar with the Mk II, the tighter physical integration of the tweeter/ midrange interface creates a more elegant appearance with the grill cloth on, and a look we are pleased to note also increases the visual similarity between Vandersteen’s flagship speaker and the liquid-cooled M7-HPA amplifier. Further sonic improvement was realized by weaving the voice coil leads directly into the spiders of the push-pull subwoofer cones in the powered subwoofer, strengthening the connection between the Model Seven MK II’s internal power amplifier and the powered sub, allowing increased linear excursion for even greater bass authority in the subterranean (100Hz and below) frequencies. Of course the beating heart of the Model Seven Mk II is the patented carbon-fiber-clad Perfect-PistonTM drivers that made the Model Seven a sensation. Richard Vandersteen spent 10 years developing these amazing carbon cones, a completely original technology which realizes the dream of true pistonic linearity from dynamic driver cones without the unnatural sonic color- ations inherent in metal driver cones. of reproducing deep bass. Passive speaker designs always require placement compromises between the areas in the room where the imaging is best (farther out in the room) and where the bass is best (closer to the walls for boundary reinforcement). The Model Seven Mk II can be placed out in the room where it images best, while the 11-band EQ ensures “unbeatable” in-room powered- bass performance. Our flagship Model Seven Mk II is entirely uncolored and free of cone-imposed distortions that even the most astute listeners never identified as originating from the loudspeaker itself. The Perfect Pistons’ startling linearity opens an entirely new window on your music collection revealing nuances only heard by the artists and artisans who made the original recording. The Model Seven Mk II's advances are rooted in our 30 year-old cornerstone concept, which is to design full-range, time- and phase-accurate, minimum baffle, vertical array speaker systems. 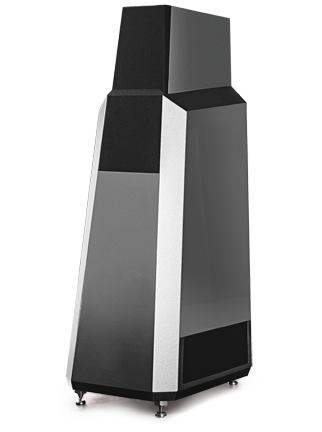 We introduced this concept with the original Vandersteen Model 2 in 1977 and the fact that narrow speakers with vertically-arrayed drivers are ubiquitous today further demonstrates both the influence and validity of this speaker design. Fusion™ Subwoofers. The unique dual-motor, push-pull subwoofers two curvilinear aluminum cones sandwiched together with an exotic honeycomb material built-in to Vandersteen Model Seven Mk II loudspeakers are unlike anything else on the market. They don’t simply “augment” bass. 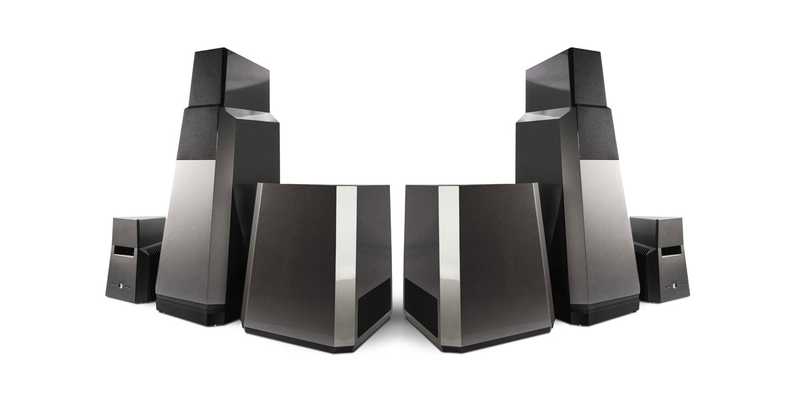 They extend the low frequency response of the speakers while reducing distortion in the midrange. Bass response and harmonic response are fused together in a seamless blend, maintaining full-range amplitude linearity and phase-response. Stealth™ Enclosures. The structure or body of a musical instrument, like a piano, violin or guitar, is designed to add rich and pleasing resonances to the sound of the strings. Any sound created by the structure of a loudspeaker is distortion so all resonances should be eliminated. 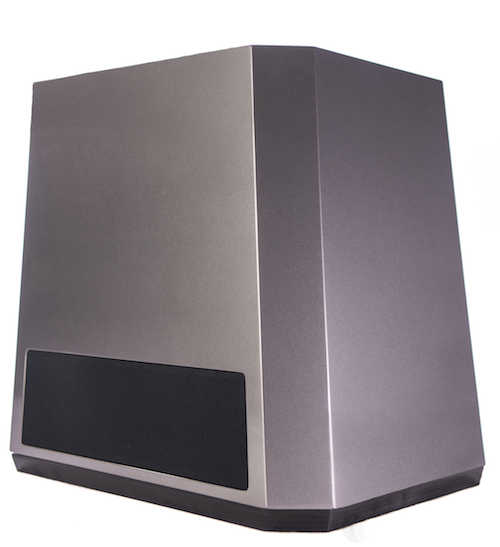 Vandersteen Stealth™ enclosures eliminate these distortions by virtually eliminating resonances, minimizing baffle dimensions and covering the remaining surfaces with non-reflective materials, and carefully contouring all edges. Vandersteen speaker enclosures are acoustically inert. All structural panels are made from proprietary constrained-layer-damped materials and heavily braced. Vandersteen Model Seven Mk II speakers have additional carbon fiber layers applied inside and out with a high-pressure, high-temperature autoclave. 400-watt amplifier. 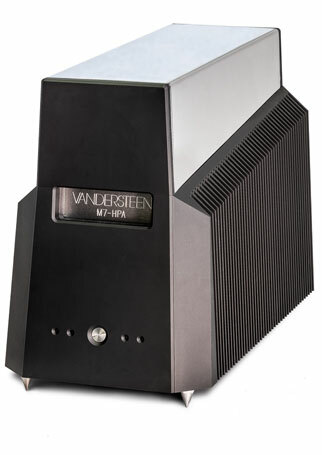 In each Model Seven Mk II, Vandersteen integrates an ultra-high-current 400-watt amplifier with power-factor-corrected, regulated power supply. The Eleven-band bass equalization, plus master level control, along with Adjustable“Q”™ allow bass response to be perfectly tailored to a myriad of speaker positions in a variety of rooms. Vandersteen’s phase coherent bass EQ is unique because it affects low frequencies only; there is no processing in the signal path above bass frequencies all within the analog domain. 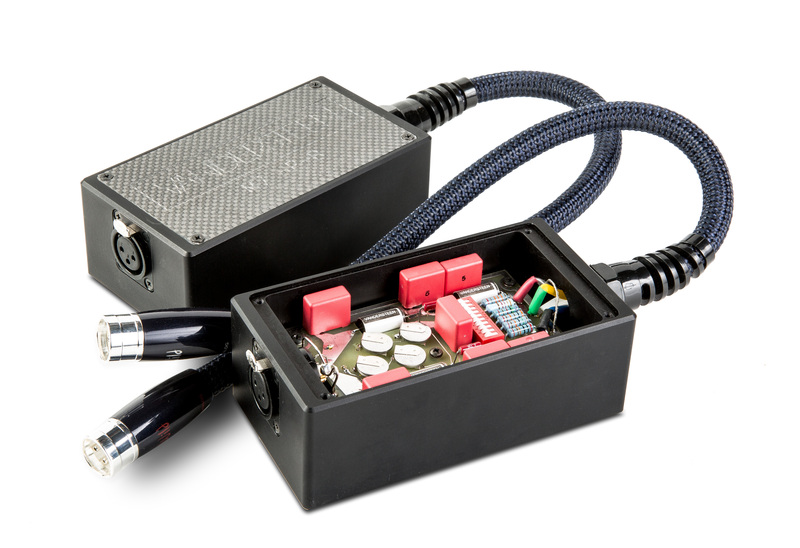 This top of the line High Pass Filter is specifically designed to be inline in front of your amp to roll of frequencies below 100 Hz. which are passed to the Model 7 series speakers and reconstructed in the amplifier powering the bass driver.